Gary Cristall has had a profound impact on the music and cultural industries in Vancouver and beyond. In 1978, he co-founded the Vancouver Folk Music Festival, and spent 17 years at its helm as artistic director, programming and welcoming a wide range of international artists to the city. Aside from that, he has produced and presented countless concerts; programmed the Folklife Pavilion at Expo 86; created new funding models and distributed grants for the Canada Council for the Arts in Ottawa; and more recently, has been doing his part to form a new generation of cultural workers by teaching at Capilano University’s Arts and Entertainment Management program. UBC presented him with an honorary degree in 2015, recognizing his significant contribution to the cultural landscape throughout the Lower Mainland and Canada. 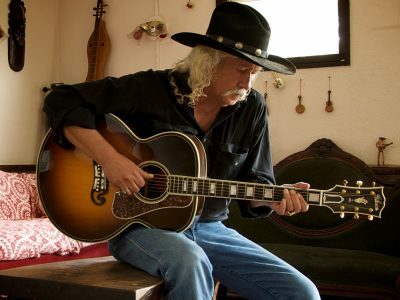 He is currently writing a book about the history of folk music in Canada, and will be giving a pre-show talk prior to the Chan Centre’s presentation of Arlo Guthrie. We asked Gary a few questions about his fascinating background, the Guthrie family legacy, and his most memorable musical experiences. You are writing a book about folk music in Canada. Obviously the landscape has changed significantly over the past few decades. What industry shifts, advances or losses stand out the most to you? Gary Cristall: Big question. My book actually ends a few decades back in the mid nineties. However, I think that what has happened since then is pretty much continuous with what could be seen at that point. Folk music has become an organic, integral and structured part of both the arts and the music business. I see those two things as different and not always complimentary. There are now a hundred folk festivals, some big, some small, and they reflect the diversity of the music. Folkies have organized. We have a national organization, several important national gatherings and an awards show- all apart from more mainstream affairs like the Junos. Both traditional music and contemporary music outside the mainstream, the two big components of what is called folk music, have an audience. Folk music has embraced cultural diversity in a way no other musical genre has. For a genre that was pronounced dead in the seventies, folk music has proven that it is a vital component of Canadian culture. There are more people performing and listening to folk music today than ever before. So…answering your question- lots of shifts, plenty of gains and no losses. We won! You have been an artist manager, programmer, producer, administrator, and now teacher and writer. When you look back, which role has been your most rewarding? Most challenging? GC: Each has been rewarding and challenging. As a manager I have been able to help artists accomplish goals, both artistic and financial. I’ve also given the public some great, stimulating art. As a programmer and producer I was able to put things before an audience, music I thought was important- music I thought they NEEDED to hear. It’s a rare privilege. As an administrator, notably at Canada Council, I was able to change how the arts are supported in my country. Many of those changes are enduring. As a teacher I give what I have learned over the better part of fifty years to a new generation. Hopefully some of my thoughts and opinions will live on in a new generation of cultural workers. Writing is generally the easiest. I am working on a book but most of my published writing has been for magazines or scripts for radio. You don’t get back much response one way or the other. It is satisfying, however, to know that while much of what I have done is ephemeral, the writing will endure. Most challenging? I think the programming was the most challenging. You are naked! It’s terrifying. You put what you believe to be important and wonderful in front of thousands of strangers and they either agree or disagree. You can tell by the reception. Right away! I used to say that it was like being up for election, only more often. It’s also the most rewarding. People still come up to me more than 20 years after I stopped programming the folk music festival and tell me how much it meant to them. Nothing else is like that. How has the Guthrie family repertoire, as well as the work of other members of People’s Songs, impacted the folk music scene in Canada? GC: They (Woody and the People’s Songs folks) wrote the book and the Guthrie family has both carried it on and added to it. They created a body of work that became the key to the repertoire. People’s Songs inspired the folks around the United Jewish People’s Order (UJPO) and the National Federation of Canadian Youth (NFLY), two organizations linked to the far left that basically organized folk music in Canada after the Second World War. 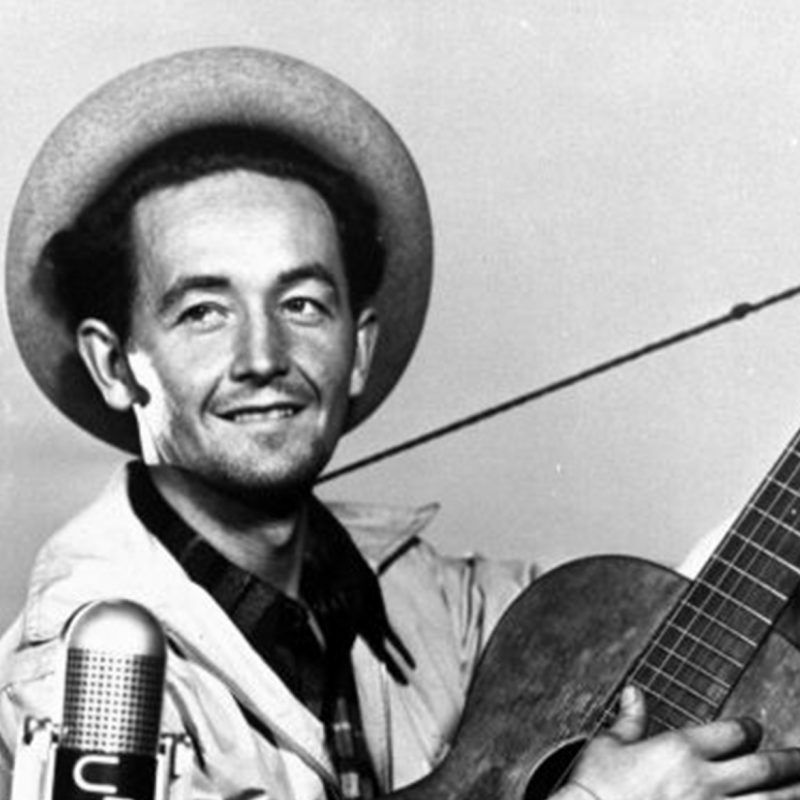 Woody’s songs were vital, including “This Land is Your Land“, which became the first Canadian pop folk hit when Canadianized by The Travellers in 1957. Pete Seeger, Guy Carawan and other People’s Songsters toured Canada, gave concerts and, more importantly perhaps, held workshops where a whole generation of folk singers learned their craft. 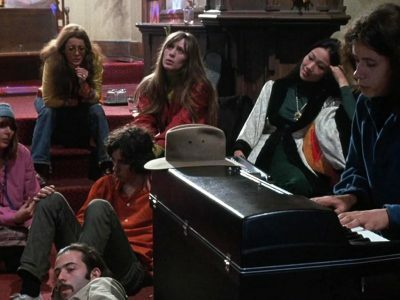 Singing groups were inspired by People’s Songs to start up in every major Canadian city, laying the groundwork for the folk ‘boom’ of the sixties. Festivals, television series, coffee houses, magazines, concert producers, agents, managers and record companies were all inspired by the American movement that Woody and Pete and others created. They were the model and, while the scene now looks nothing like what People’s Songs thought it should, their legacy is still part of what is there today, not least in the legitimacy of songs of social content and protest being seen as a legitimate component of the folk music repertoire. 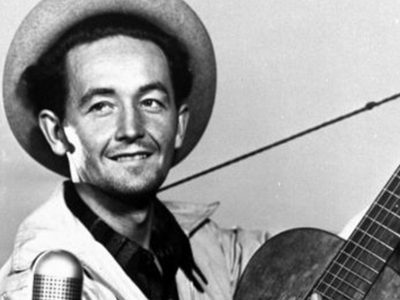 How has Woody and Arlo’s music impacted your own work? What has your personal experience been with their songs? GC: I grew up listening to Woody’s songs. My parents were left wingers and that meant folk music back in the fifties. My mother may have been the only person who brought Woody to Canada. It was with Pete Seeger to sing to some kids and Woody was so nervous he barely went on stage. So, as far back as I can remember I have listened to Woody. First it was kids songs like “going for a ride in the car, car!” then songs of social protest- “Deportees”, “Do Re Mi”, “Vigilante Man”. More recently it was discovering some of his lost love songs. I’ve been listening for more than sixty years. I’ve been listening to Arlo for almost as long, I guess since 1968. I thought Alice’s Restaurant was an epic and I was overjoyed Arlo didn’t just coast on Woody’s coat tails. I still love hearing Arlo and ‘famille’ perform. Then Arlo picked up the torch, first working with Pete Seeger and then with Ronnie Gilbert, Pete, and Holly Near in a quartet, HARP, that was Weaver like but contemporary, bridging the generations. I put the record they made out in Canada. At Expo 86 I had the opportunity to work with Pete and Arlo raising funds for the folks who had been evicted from the hotels in the Downtown Eastside. It was an honour. So, Woody and Arlo have been a big part of my life for a long time and in different ways. What’s your ultimate piece of advice for music or arts management students just starting out? GC: Work with what you love and believe in. Never do it just for the money. I have been given three great pieces of advice by my elders: 1. No good deed goes unpunished. 2. The trick is making your lies come true. 3. Don’t give them what they want. Give them what you think they need. Best or most memorable concert/live music experience? Or top three if it’s impossible to choose. GC: Here’s three. I became politically active in 1965 at a ‘sit down’ in front of the American consulate in Toronto in solidarity with Martin Luther King’s Selma, Alabama march. At a meeting afterwards a man sang Bob Dylan’s “Lonesome Death of Hattie Carroll”. It went through me like an electric current. I don’t remember a word of the speech at that meeting but I’ll never forget the song. In the early seventies I was living in Chile. It was a period of great hope and many musicians rallied to the socialist movement that had elected Salvador Allende president. There were many big demonstrations. One, with almost a million people, i.e. almost ten percent of the country, was in front of where I lived. Quilapayun, a very popular pro-government group, wrote songs about what was going on- one popularized eating more fish! They sang at this demonstration and a million people danced and jumped up and down as the words and music of these artists inspired, energized, motivated and connected with the crowd. In that moment I saw what a song could do. The third is hearing Connie Kaldor sing her anthem about ‘guys’, “Jerks”, at the Vancouver Folk Music Festival in 1980. I realized the power of song I had heard in Toronto in 1965 and in Chile in 1972 was still alive in Vancouver, and that I was part of it. 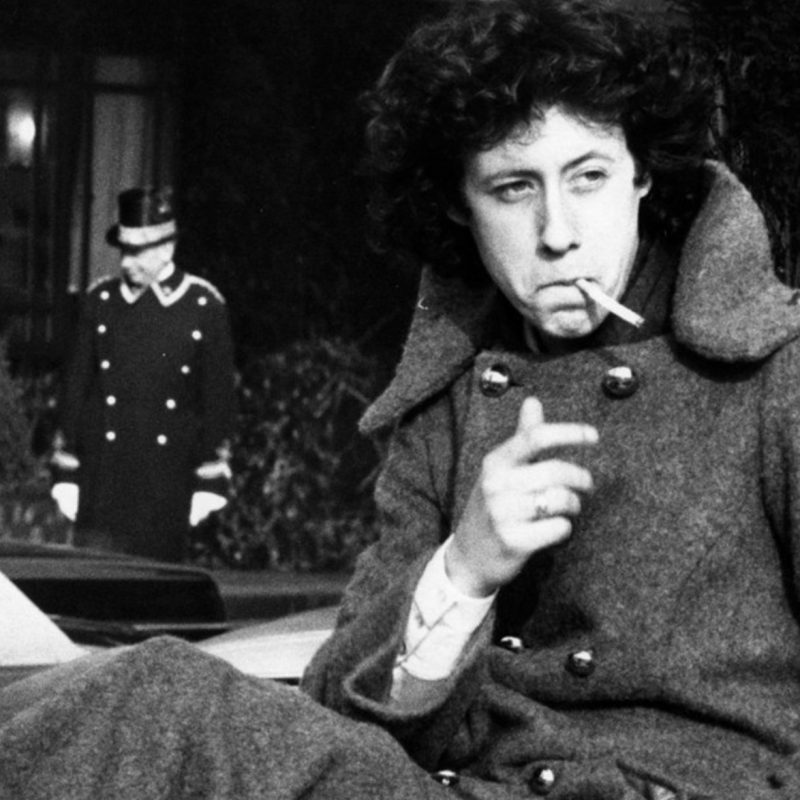 Arlo Guthrie with special guest Sarah Lee Guthrie on Thursday, April 21 at the Chan Centre for the Performing Arts at UBC is sold out. Pre-show talks are free for ticket holders and seating is available on a first-come, first-served basis.